The Lance Armstrong Foundation and corporate sponsor Nike are continuing to back the cyclist despite a US Anti-Doping Agency report that says Armstrong drove "the most sophisticated, professionalized, and successful doping program that sport has ever seen." “We are deeply grateful for [Armstrong's] leadership and incredibly proud of his achievements, both on and off the bike," president and CEO Doug Ulman said in a statement Wednesday. The USADA released the 202-page report Wednesday with testimonies from 26 people, 11 of whom are Armstrong's former teammates. The document describes Armstrong as a serial doper who bullied his teammates into cheating as well, helping to orchestrate a doping program along with the team doctors. Last month, when Armstrong decided to stop fighting accusations that he used steroids during his record-setting career, he also agreed to forgo a hearing where evidence against him could have been made public. Now that new evidence has come out anyway, his reputation has taken another hit. In a tweet Wednesday night, Armstrong said he was “unaffected” and thinking about the accomplishments of his foundation. 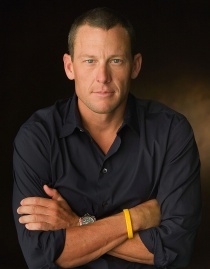 The Lance Armstrong Foundation has done good work in the fight against cancer, but as the evidence against Armstrong mounts, it might prove difficult to steer the focus back to its core message.